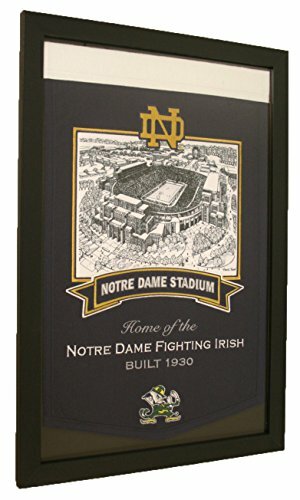 This Officially Licensed Framed Stadium Series Banner boasts team pride & classic style with quality embroidery & applique detail. It is the ideal gift for any true fan! Ready to Hang & Approximately 20x30'', it will be a perfect fit for the any room in your home, office or bar. View More In Wall Banners. NCAA Ohio State Buckeyes Legends Never Die Team Heritage Double Matted & Framed Banner with Photo, Team Colors, 15" x 42"
NCAA Ohio State Buckeyes Legends Never Die Team Heritage Banner with Photo, Team Colors, 15" x 42"